Rain stinks. It kills sharpies, and when a player goes out you don’t want all your stuff getting ruined by trying to get them to sign. Friday was one of those days that seemed like the rain could wash everything away, including the game that night, which it ultimately did. Before Ben Zobrist could come back, Joe Nelson walked out and signed the only card I had. Ben finally made his way back and nicely came around to where there was an overhang. My pen somehow got dripped on and the signatures started getting faint and whatnot. Nothing got completely ruined but they dont look great some of them. He did all 9 cards, and I restocked the last 3 that I had for later. Gabe Gross came out and signed one for me and told everyone else that he’d sign later. The card got hit by a lone rain drop and messed up the signature a little but nothing terrible. The next guy I got was Steve Henderson, a former player and now coach under Joe Maddon. After that was Grant Balfour and Willy Aybar. Both signed only one card and both got messed up by rain, not terribly but still enough. Ughhhhhhhh. After seeing Matt Joyce a few times and after him mumbling to us a few times, he finally decided to sign, and luckily niether card got messed up by rain. Ben Zobrist came back out and signed the other 3 cards for me, making the total 12 for the day. Dionner Navarro came out next and and smartly stayed under an overhang so he nor our stuff would get wet, but of course he decides to use someone else’s thick sharpie for the card, which is annoying to me, but whatever, better than not getting an autograph. Andy Sonnanstine made his way over to starbucks, and when he came back, I asked him to sign, he told me he was going to put his stuff on the bus and then come back. He kept his word, and came off and right over to me where I was under the overhang and signed 3 cards, like he always does. The last autograph for pre-game that I got was Carlos Pena who signed my Allen and Ginter absolutely perfectly. He has a good signature and then a good signature which he puts lines through. This time he didnt put the lines through them and it looks awesome. I was on my way back to Queens to get my car and just finishing eating my McDonalds when I found out the game had been postponed. So it was immediately back to the city. Had I not have made one more light I would have missed the bus returning. I got to the hotel and the bus was pulling up. I got David Price to sign a card off the bus, and Reid Brignac as well. I was the only one who got Reid, as other people went for other players. Matt Joyce came back out of the hotel and signed the last 2 that I had giving me 4 for the day. JP Howell came out next. JP is insanely cool and got on line for a taxi, and signed whatever you put in front of him. I of course only have a 2006 Topps photoshoped Tampa Bay card. Reid Brignac came out again, and signed another for me and one for everyone else as well. Soon after that a group of players came out. It was Matt Garza, Jason Isringhausen, Jeff Niemann, and Andy Sonnanstine. Matt Garza wouldnt sign at first, but once Jason Isringhausen started signing he did as well. He signed a nice 2006 Upper Deck card. Jeff Niemann signed 5 cards including a 2007 Bowman draft picks and prospects jersey card. Grant Balfour came back earlier and was heading out again with his wife, and walked out and signed another card for me. Next guy out was Dionner Navarro who signed a card for me and inscribed it 2008 AS for me. There was a huge gap before we saw anyone else. The group of four players returned and I got Isringhausen this time to sign a 2006 SP Authentic. Then the coaches returned and I got Maddon to sign one more. Dont even get me started on BJ Upton. All I have to say is that he is the nastiest person in the game. Joe Maddon, if you see this, get him under control, because clearly his ego is so large that it is eating himself, and thats probably why he has been so bad the past two seasons. If you dont believe me about his ego, the man believes he is better than Chipper Jones. Enough said. That was it for the night. Pena returned wouldnt sign, Longoria wouldnt do it. It was frustrating since there werent too many people (4) and Longoria still wouldnt sign. Oh well. Glad I got him last year. Glad Tampa comes in again this weekend. I met up with some friends in the city and we walked around for a little bit and then headed over to where my car was and headed home. I dropped them off and we hung out there for about half an hour before I headed home at 3:30. Sorry that it is a bit blurry. Anyway, I have three more updates that will be up soon. Enjoy this one. Washington was good yesterday, and I’m looking foward to doing this team again Friday and maybe Sunday. I *should* have an update up Tuesday, Wednesday, and Thursday, but no guarantees on that. So just be patient and I’ll get those up soon for everyone. My next hotel will be Friday, June 19, 2009 for Tampa Again. After that I have no idea whats going on. The Marlins are always one of my favorite teams to go for. I always seem to do well, and the have guys who are pretty much all cool (with the exception of Hanley) who sign. Today though, would not be one of those days. Total wise was good, quality could have been a lot better. Lets get right down to it, so buckle in (if you actually do, I’m concerned about where you are reading this), and lets get moving. Four autographs all morning. 4. Four, Quatro, Quatre. Post-game needed to be much better and luckily it was. I hung out in Queens and we made our way back to the hotel when the game was over. The bus came and like always no one seemed interested in signing off of it. But then players and coaches start coming out and the first guys out were Freddi Gonzalez and Andy Fox. Freddi had signed 2 cards for me this morning but there was a taxi waiting and he told me that he would get the rest later, which he did. The next guy who we saw was John Baker. Security was horrible and being over the top about everything. The threatened to call the cops maybe 5 times or so but of course never did, because they know they have no case and the cops honestly, unless you go into the hotel, dont really care. Barack Obama was in town, they have much better things to worry about. Anyway, Baker was nice enough to roll down the window of the taxi he was in, and signed all 6 of my cards for me. Very nice guy, and his wife/girlfriend thought it was the coolest thing ever. The next guys out were Burke Badenhop and Hayden Penn. Badenhop wouldnt sign at first, but when Penn started to, he joined in as well. Hayden Penn has a horrible signature. Literally “h-loop” but with that he signed 4 cards at least, while Burke who has a decent graph did both of the cards I had. The next guy ot was Brian Sanches. Somehow I had 8 cards of him, which he was happy to sign all of them. I think he was rather excited someone knew who he was. It was weird though, because after each card he did this weird hesitation and looked like he was going to hand them back each time but never did. Security had gone in at this point and we were lucky enough that Jeremy Hermida came out. Jeremy had been refusing the first trip and the previous day according to other collectors, but he got stuck on the taxi line, and had no problem signing. I got a 2007 Fleer Rookie Sensations card and a 2008 Allen and Ginter that a friend kindly gave to me since he had 2 and had already gotten him on other things. They look really nice and you can see them below. That was it at the hotel. I was starving, so I headed down a few blocks to Duane Reade to get a snack when I noticed a fellow collector frantically trying to get my attention. He told me that Hanley was over at some restaurant and was signing, and that he was getting ready to go. I raced over quickly and got Hanley to sign a card for me. Unfortuately it didnt turn out so well, so I asked for another one. “Ohh, let me see.” He said, in horrible broken English. He looked at it made a fart sound, and signed another one, even making sure it turned out better. Emilio Bonafacio was also there and I had him sign the one card I had of him, which I had aquirred in a trade with a fellow collector that morning. That was it, then security freaked out on us when we tried to get Dan Uggla. I yelled at them. I’m not getting into specifics on this cause it makes me so **********, but, lets just say, one guard is in a lot of trouble, and they now know not to mess with me anymore. I went home, and even though I only got 9 different players, Hanley was well worth it. There should be an update tomorrow about the Rangers hotel from yesterday, June 2nd tomorrow. I will be going for Tampa on Friday, maybe Monday. Sorry about how long this has taken me to get this up. I do have a life outside autographs and I was living, I guess you could say. Right now it looks like it’s about to poor outside so this would be an excellent time to catch up here, and that’s what I’m going to do. I spent the night in Queens again, and Vincent and I headed out extra early to the hotel to make an attempt to get Charlie Manuel who leaves exceptionally early. Right as we got there I said to Vincent I hope we didn’t miss him already, and he looks at me and says “Isn’t that him right over there?” Sure enough it was. Charlie is a very nice guy and signed 6 cards at first, missing the lone Cleveland Indians card on my page. “Charlie, what do you have against Cleveland.” I asked him. The next guy out was Pedro Feliz. He started to sign, and if you can remember from Friday, May 22, we hung out with him for a while. “Pedro, Chili’s and bowling was lonely without you.” I told him. He just laughed and signed a card, sideways. The next guy out was Pete Mackanin, former Pirates and Reds interim manager, and now a coach for Charlie Manuel. 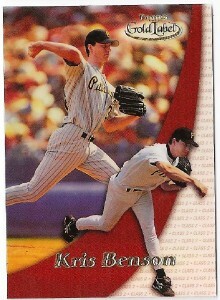 I had 2 cards from his Pirates days which he signed both. Matt Stairs again went for some coffee and signed when he came back. Then we noticed Brad Lidge and Raul Ibanez leaving through a different entrance so a few collectors went there to try and get them. Ibanez wouldnt sign, and Lidge didnt want to either at first, but when he realized that there were only 4 of us he did sign. It wasnt his full auto like I got two days ago, but nice anyway. When we came back other collectors told us that Cole Hamels came out and of course would not sign but went into a drink place. Vincent and I went to the place and found him on line at the juice bar place. We talked with Cole for a good 10 minutes. I knew he wouldnt sign since he was pitching anyway, but we simply talked. When would be good to get an autograph. How were the new stadiums? Which one was nicer? What kind of drink did you get? It was nice to see that he was at least friendly and talkative and not just a huge *** hole all together. I got to ride the subway with him in 2006, and he was nice then and would sign at the hotels but not anymore. It happens, hes not the first one. Anyway, back at the hotel I got Scott Eyre 4 more times, making that 12 on the trip, and Chan Ho Park once before he got on the bus. Not a great day, but for a pre-game, a solid total of 17. I was in the city yesterday (5/30) for Florida and will hopefully get an entry on that up tomorrow. I will be in the city on Tuesday and maybe Wednesday for Texas, and definitely Friday for Tampa. Two good teams, hopefully I’ll do very well. This is going to be a rather short entry, and my apologies as well for getting it up so late. I spent the night at my friend’s place in Queens so we were up and out early and to the hotel by 9:30. It was a 4:00 game so we anticipated the team leaving roughly from that point to about 12:45 or so, when the bus would leave. Unfortunately as early as we got there we weren’t there in time for Charlie Manuel who is apparently a morning person. The first guy we got was Chris Coste. I had gotten 5 cards done the day before and he finished up the cards he didn’t get today. Really nice guy, and if you don’t know his story then check out his book: The 33-Year-Old Rookie: How I Finally Made it to the Big Leagues After Eleven Years in the Minors. I haven’t read it, but I know his story from seeing interviews and whatnot. The day kept growing and it was frustrating as time kept ticking but autographs werent coming. Finally Scott Eyre came out with his kids. I had a board of 9 cards for him, but one fell off in my binder so he was only able to get eight signed. Oh freaking well. Midway through him signing for me one of his sons said something. “Dad, are you really going to sign everything for him?” Eyre’s kid asked. “Well see, if I sign them all for him now I dont have to do it later.” He said. “You should tell that to Cole Hamels.” I told him. He laughed. Eyre is a cool guy and would have waited around for me to grab the last one and the other 3 in my bag, but I wasn’t going to press the issue. The day before, Raul Ibanez had walked out and said that he’d sign when he came back. He came back, but guess what? No autograph. I never saw him walk out but someone said he was in starbucks. I went over there with Vincent and when he came out he signed a card for me, a ball for Vincent and that was it. I dont know what he did to my sharpie but boy did he mess it up and it cost me later too. The next guy out was big bopper Ryan Howard. Ryan wasnt going to sign at first, but he did start signing and in the mayhem I was lucky enough to get him. But because Ibanez messed up my sharpie it came out bad too. At least it was an Allen and Ginter though. But of course the 2 cards Ryan Madsen signed came out wonderfly. That was it, the bus left and we did too. We went bowling, grabbed food and headed back to the city. Please note: Im not telling you where he lives or where I saw him or anything. So DONT ASK. So even though I didnt get any Phillies the rest of the night, I’d say it was a pretty good day anyway. Howard, Ibanez, and A-Rod. There is one more update that will be up at some point same time tomorrow. I am NOT going for Florida on tomorrow but will be there on Saturday, and will be going for Texas on Tuesday and maybe Wednesday if Tuesday doesnt go well. I grabbed the 8:56 train from my station and headed down towards the city. I had only planned on staying Friday for pre and post game but that turned into an entire weekend affair. I met up with my friend Vincent at Grand Central and we headed over to the hotel. When we got there there were already a few people at the hotel. The day started out pretty quickly as I got Milt Thompson, the Phillies hitting coach and former player to sign a card. Sam Perlozzo, was the next coach out and he signed 7 cards from his Baltimore Orioles managerial days (06-07) after returning from Starbucks. Very quickly I had 8 autographs, but just as quickly as the day began was just as quickly as it slowed down. We did see a few players. Clay Condrey and Jack Taschner came out at different times, but Clay, other than a brand new 2009 Upper Deck Series 2 card, and Jack who has a few cards but I got them signed last year when he was San Francisco, I had nothing this time for them. Its annoying to not have anything for certain people, and no offense to either one of them, but I wasnt using a team card on either one of them. A little bit later we noticed two players inside the hotel. We determined that the guys were Chris Coste and JA Happ. Then Jack Taschner walked out and over to Starbucks to get drinks. The players came out and they were cool and had no problem signing. I got Chris 4 times and JA 3 times. Chris Coste said to me “Man you must have a lot of baseball cards if you have that many of me. So after everything was done, I went up to Chris again as he waited for a cab. He usually signs just “Chris” so I asked him if he could sign another one with his full name. “I’m sorry man, I’m not gonna do that. You still want me to sign it anyway.” He replied. “Its nothing against you, I just haven’t done that in so long, I dont even think I can physically get that one out on paper anymore.” He said with a chuckle. I dont know whether he was joking or not, but he gave me a nice one at least, so I was pretty happy with that. The next guy we saw was Chad Durbin. Vincent told me that he was impossible to get when he was with Detroit. I dont know what it is with some guys, but they let other players allow them to decide whether they should sign or not. Someone obviously thought Kenny Rogers and Justin Verlander were the coolest guys around. But now woth Philly, he was pretty cool. The next guy was Joe Blanton. Joe is a cool guy. Usually when you see him the first time he says no. Then he goes and gets a drink for himself and goes back inside, and signs when he comes back. Today was no different. He signed 3 cards including a nice 2007 Topps Chrome Refractor that looks awesome. The only guy who I got at the bus was Larry Anderson who signed 2 for me. Ryan Howard signed maybe 3 or 4 and I would have been the next person to get him, but he got on the bus. I had 24 so far, not bad, but luckily I was able to go postgame as well. Vincent and I hung out and looked through cards. He bought a box of Topps Series 2 and Upper Deck Series 2 and we opened those. The Upper Deck box was insanely lucky and was a “hot-box” meaning that instead of getting 2 memorabilia (jersey, bat, hat, etc.) and 1 autographed card per box, he got one per pack! Nothing super special, but some nice cards nonetheless. We headed back to the hotel after the game ended and the bus was suprising late getting back. The first player I got was Chad Durbin who had taken a car back. He went out to grab a bite or something and he signed the other three cards that he didnt that morning. I wasnt able to get anyone to sign off the bus, but Jayson Werth came out a little bit after the bus left and he signed 3 cards for me. He used to be insanely nice, but now, with a ring on his finger, he has lost that niceness he once had. During the day he signed maybe 2 autographs, but since there were only 4 people there it was a lot less overwhelming for him. Pedro Feliz came back after that with his agent, and this just made my night. Pedro is an insanely cool guy and he hung out outside the hotel for literally 30-45 minutes talking to Vincent and I. When he was signing I asked him to sign the 2 Allen and Ginters that I had. Unfortunately it was dark and I didnt want to use the flash and blind the poor man, so it came out pretty dark. While we were talking with him, Carlos Ruiz came back and he signed 3 cards for him. Carlos came over and talked with him as well. That was it for the day, but I had two more pre-games to work with to make it a better trip. Look for those updates by Thursday evening. Like I said the updates for Saturday (5/23) and Sunday (5/24) will be up by Thursday night. I haven’t decided if I will go Friday or not for Florida, but I will definitely go Saturday, and I will let you know by Thursday night.